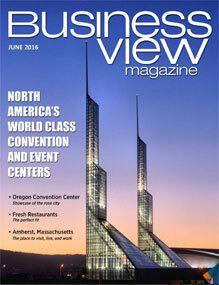 Business View Magazine profiles Fresh Restaurants, a fresh and healthy fast food franchisor. Headquarters in Burnaby, British Columbia, Canada. 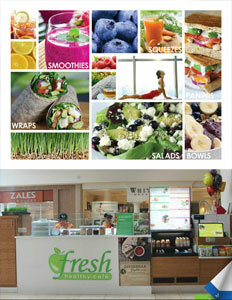 Founded in 2000, Fresh Restaurants’ FRESH Healthy Café is an international brand and a global leader in the booming healthy, fast-casual food industry. Its mission is to provide its guests with a fresh and healthy alternative to the typical, unhealthy fare offered at most fast-food outlets, while providing its owners and operators with a profitable business model. Its cutting-edge outlets are located in strategic sites with high foot traffic, clear visibility, and easy access. FRESH Healthy Cafés serve pure fruit smoothies, fresh squeezed juices, wheatgrass, wraps, paninis, salads and soups, protein bowls, fair trade organic coffees and teas, and healthy grab-and-go snacks and beverages. All of its menu items are made fresh before the customers’ eyes, using only natural ingredients of the highest quality. Its smoothies are made from 100 percent pure fruit with no sugar or artificial sweeteners; its wraps are made fresh to order and grilled upon request; and its soups are low in fat and sodium. The company has many new stores opening throughout the U.S. and around the world, and currently has 25 franchises in the United States and another 12 in other countries, including Canada, India, Lebanon, the Philippines, Singapore, and the United Arab Emirates. Opportunities for entrepreneurs included Unit and Multi-Unit Franchises, Master Franchises, and Co-Branding Franchises. There are two types of FRESH operating models: the 1,000 –1,500 square foot, mall or street-front café, and the 340–450 square foot mall or airport café. In addition, FRESH systems can be modified for both local and international markets, taking into consideration the location’s culture, economy, and social customs. FRESH franchisees have the opportunity to be successful business owners as the healthy, fast-casual food industry is extremely viable, has massive growth, requires relatively simple operations and a low initial investment, and provides customers with very affordable products. All franchisees receive full team support, including: proven marketing strategies and tools, lease negotiations, store design and set-up, inventory management, business and technical assistance, supplier relationships, and the company’s fresh and healthy recipes. Fresh Restaurants’ commitment to living well extends beyond the four walls of its stores. The company is concerned about the health of the local communities in which its restaurants reside, and places a major priority on getting involved in the community through school programs, its Healthy Kids Club, sports teams, and more. It’s also why it serves all of its food and drinks in 100 percent biodegradable cups and other packaging materials made entirely out of corn. So, whether you’re a customer looking for a delicious, nutritious meal, or an entrepreneur seeking a healthy business opportunity, FRESH may just be the perfect fit. Check out this handpicked feature on Nature’s Touch Frozen Foods.